Looking at the latest scientific evidence it seems that there is no benefit in eating less salt. In the US an average adult consumes 3,400mg of sodium per day. The USDA guideline encourages people to reduce this amount to less than 2,300mg of sodium per day and to 1,500mg of sodium per day for specific subgroups like individuals with diabetes, chronic kidney disease or individuals of 51 years or older. The latest report by Centre for Disease Control (CDC) found that reducing sodium intake to below 2,300mg per day neither increased nor decreased the risk of cardiovascular disease or all-cause mortality in the US population. Furthermore there was not enough evidence to support the USDA recommendation to lower the sodium intake to or below 1,500mg per day for the specific subgroups. In fact their conclusion was that these subgroups should not be treated differently from the rest of the population. In addition to this report, there is also a growing amount of research out there that questions the long term benefits of low salt diets. So if it is true that reducing salt does not have significant health benefits, is the opposite also true? 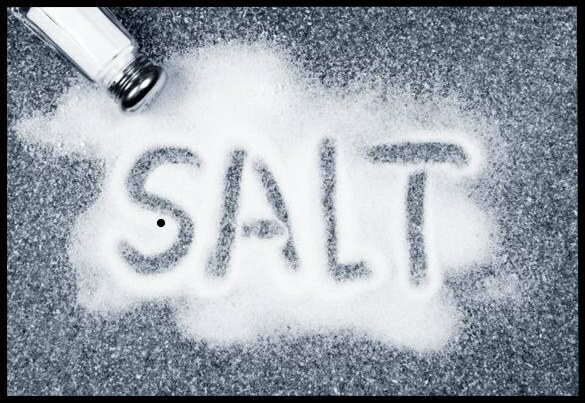 Can we increase our salt intake without it having significant impact on our lives? Not quite. There are many studies including this CDC report which do find a positive relationship between the sodium intake and a risk of cardiovascular disease. Even in studies which question the benefit of reducing sodium intake, conclusions are made that eating large amounts of salt is associated with health risks. We know that eating too little salt is bad for us and eating too much salt is bad for us. What we do not know is what are the values for too little and too much. The problem with the studies is that they are highly variable in the quality of the methodology used and people have a tendency to under or over report their sodium intake so it is difficult to accurately pinpoint the too low and too high values. So, whether it is better to eat more salt depends on the amount of salt you are currently consuming. If you consume no salt at all it is better to eat more salt as body needs it to function and there are health risks associated with not having enough salt in your body. However if you eat high sodium diet watching salt intake is sensible especially if you like fast foods and eating out. After all, just one McDonalds quarter pounder with bacon and cheese contains 1440mg of sodium, almost the entire daily allowance for those over 51 years of age. What do you think? Will you be increasing your salt intake or watching how much salt you are eating?